This is the story of Chucky, a senior 9 year old european male neutered cat. He used to live in an outdoor environment. His medical history is very long, since he was young he had different pathologies from infectious diseases, chronic urolithiasis ended with urethrostomy and a femur fracture osteosintesis. 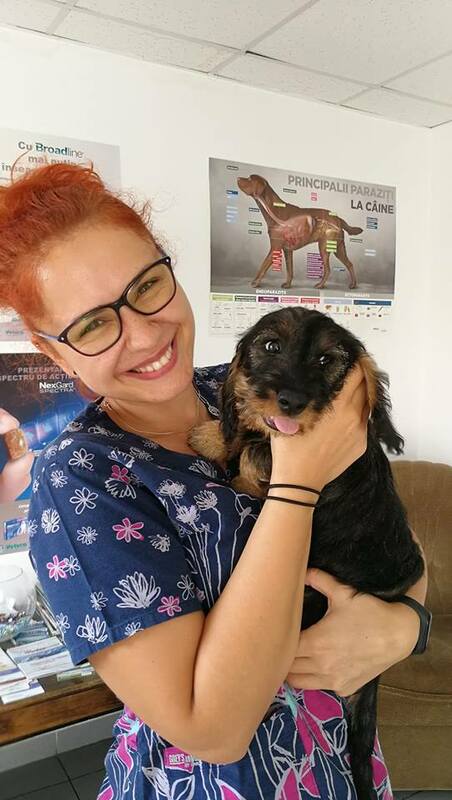 Chucky was a well monitored patient with all his dewormings and vaccinations on time. 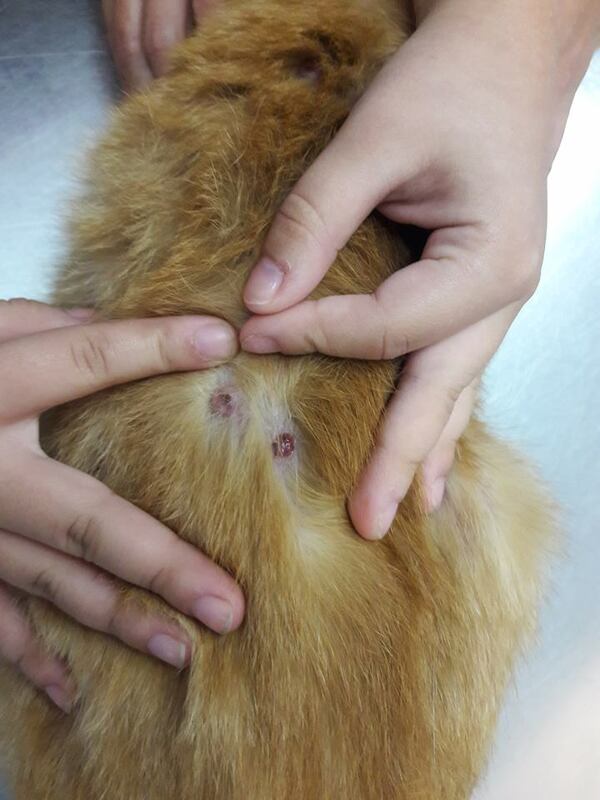 Chucky was presented for a clinical consult because the owner noticed something on his skin. On the first clinical presentation I found two skin lesions (papules) about 0.5 cm diameter non ulcerated on the dorsal thorax, well circumscribed that made my think of piogranulomatosis pioderma. I started a treatment with amoxicillin + clavulanic acid and asked them to come back after 7 days. At the second consult, Chucky looked exactly like in the pictures, he was suffering of a generalized nodular ulcerated dermatitis. A skin biopsy was made the next day and the sample was sent to the histopathology lab. Histiocytes are mesenchymal cells derived from the bone marrow as stem cells. They either become macrophages or dendritic cells (antigen presenting cells APC). Dendritic cells can be also divided into Langerhan cells, interstitial dendritic cells or interdigitating dendritic cells. Using immunophenotyping methods the histyocites were found expressing CD1a, CD1c, CD18 and MHC class 2 molecules used specific for dendritic cells and not Langerhan cells. 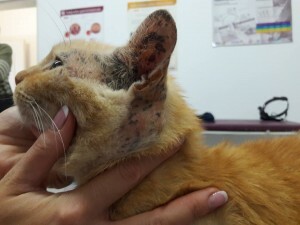 Feline Progressive Histiocytic disease is a benign skin neoplasia in humans and dogs but it is extremely rare in cats. 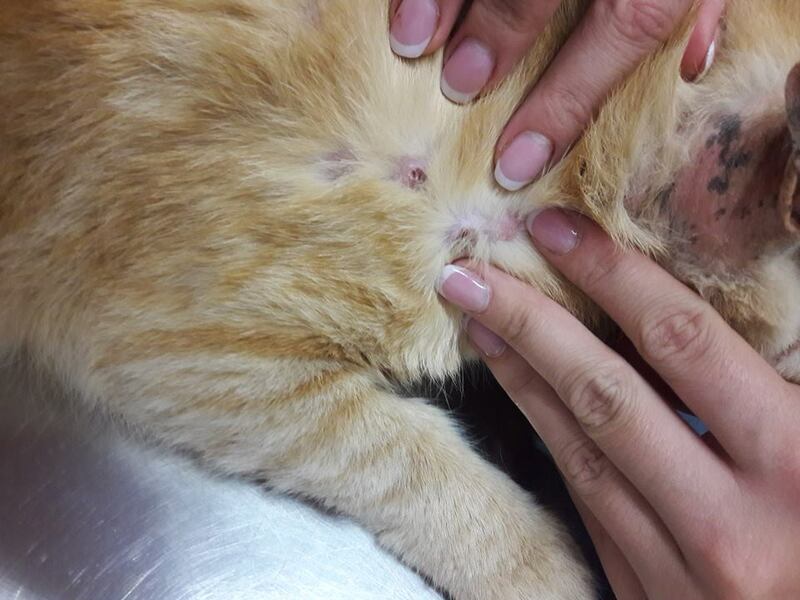 In a 2006 study conducted by Affolter and Moore (VetPathol.43(5)646-55) it is said that except some case reports this disease has not been characterized in cats. 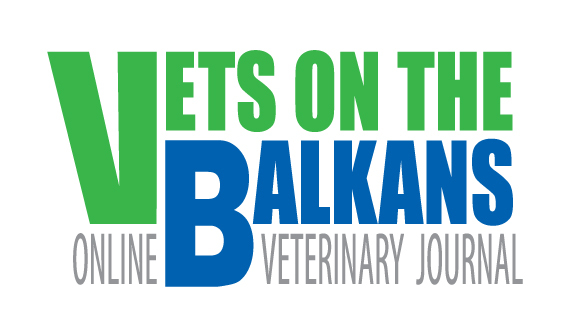 They analysed the cases of 30 cats with FPH and summarized that there is no breed or age predilection, that females are more prone on developing this disease and that it is a fatal one with no successful treatment options. FPH is a slowly progressive skin neoplasia that does not cause any pain but will spread behind the skin in the terminal stage. Median surviving time is 13.5 months. It is considered only paliative. At the time of my diagnosis I started treatment with Prednisone at a 2mg/kg/24 h but there was no evidence of improvement. 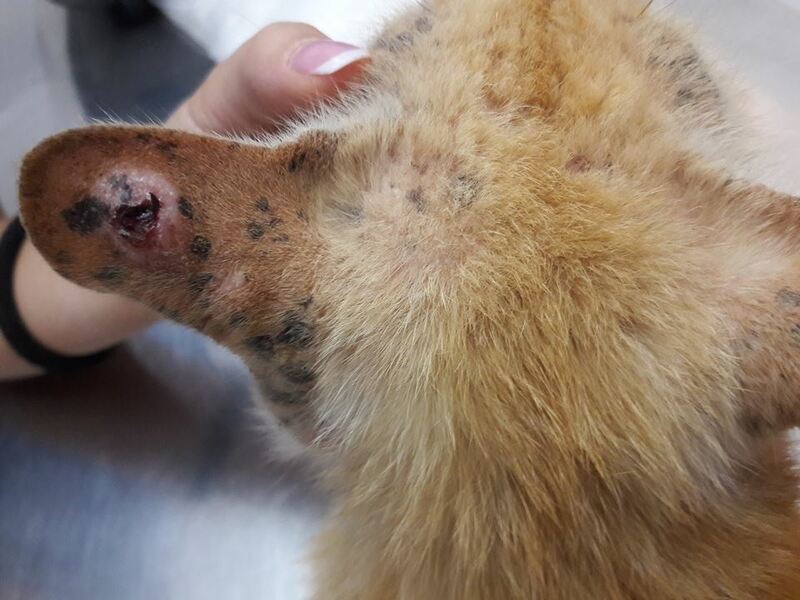 Lomustine (CCNU) is an antineoplastic drug that is used for the dog’s histiocytic disease and may be used in the cat as well at a dosage of 40-60 mg/m2 every 3-6 weeks. According to the book Small Animal Clinical Oncology (2012) the skin lesions do not appear to respond to corticosteroid therapy and effective medical treatment as not yet been described. What happened to Chucky: Chucky was brought for humanly euthanasia after 2 months after the diagnosis because of dyspnea and anorexia. I suspect pulmonary metastasis was present at that time but the owner refused necropsy.